What is The Clarkson Academy? The Clarkson Academy was established to train and equip activists seeking to effectively defend the pre-born child and see abortion ended. William Wilberforce and Thomas Clarkson complimented one another's efforts as they abolished the slave trade; Wilberforce: the bold political face of the movement; Clarkson bringing the reality of the trade to the nation's attention and changing public opinion. One would not have been entirely successful without the other. Both played a crucial part in abolishing the slave trade. We hope to follow in the footsteps of those who have brought about social reform in the past by educating the public with the truth about abortion and changing opinion. The Clarkson academy provides the best in pro-life apologetics training and delivers a strategy to end abortion in our life time. It helps passionate pro-life advocates become effective instruments for change, sometimes turning a part time activist into a full time pro-life worker. The Clarkson Academy is a project of CBR UK (Centre for Bio-Ethical Reform UK). 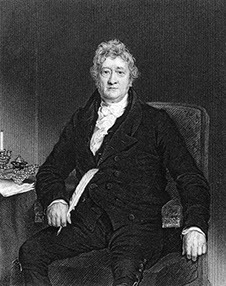 Thomas Clarkson affected a sea change in the movement to bring an end to the Transatlantic Slave Trade. Prior to his joining the campaign, it had garnered very little interest with the general public or traction in Parliament.Thomas was a dedicated abolitionist, committing his life to the cause, though for a period of a few years, he had to step back from active involvement due to sheer exhaustion from the constant travel and long hours. The poet, Samuel Coleridge described Thomas as “A moral steam engine”. No one worked harder or took greater personal risk than Thomas in his drive to see the Slave Trade abolished. Early on, Thomas recognised two major factors that effectively permitted this dreadful trade to continue unchallenged: 1) The wretched lives of the enslaved were not seen. Those who survived the horrific, long voyage from the West Coast of Africa to The Americas and the plantations in the Caribbean were far away and unseen by most of those who were benefiting from this barbaric trade. 2) The slaves were considered to be subhuman, inferior to the ‘white man’. The propaganda promoted by those opposed to the abolitionists was that the enslaved were actually lesser humans who were being ‘civilized’ and given the chance of a much better life, away from their Native home. They were portrayed as happy and flourishing under the ‘care’ of their masters. Of course, nothing could have been further from the truth. Thomas perceived that unless the brutal truth of the Transatlantic Slave Trade was publicly and graphically exposed, nothing was going to change. So it was that Thomas dedicated his life to gathering the tangible evidence he would use to educate the public as to the terrible, brutal truth about this abominable trade in human beings. This mission took him many years, travelling in total 35,000 miles around Britain, observing, interviewing people, and collecting the evidence he needed to change public opinion. During a visit to a trading ship (not a slave ship), Thomas had observed the beautiful and exotic cargo it carried, produced by the African people. The knowledge that the creators of such fine goods were being enslaved horrified him greatly so over the years, he bought samples of these goods to exhibit in a drive to show the British public the skills of the African people and the possibility of a far more humane trade – in goods rather than human beings. Thomas collected many visual aids such as instruments of torture used on slaves: thumb screws, leg irons, muzzles and flogging whips; visual evidence to use in his anti-slavery lectures to awaken the conscience of the people. This led to the boycotting of certain goods produced on the plantations. As the awful truth of the slave trade came home to the people, very many people from all over the country signed petitions and as public opinion changed and pressure on parliament increased, after many failed attempts to abolish the Transatlantic Slave Trade, on 1st May 1807 the trading of slaves was abolished in Britain. The United States also passed a law banning the trade in March 1807. Inspired by the dedication and effectiveness of Thomas Clarkson, in his use of visual images to change public opinion, we named our annual training event in honour of this great man. Booking Now Open - CLICK HERE!